Kevin Feige Says Iron Man Can Go On Without Robert Downey Jr.
As you may or may not know, Marvel is running into trouble trying to bring all of their Avengers back on board for the sequel. As detailed in our article last night, the studio is currently in talks with with Robert Downey Jr. to reprise his role as Iron Man. The problem is, Marvel is notoriously cheap and pays their actors very low figures, which is surprising since their films usually make quite a healthy return. The studio says that appearing in a Marvel film is worth something in itself, which it is, but still, several of the actors from The Avengers are playing hardball when it comes to signing contracts for the second film. Robert Downey Jr. is the flagship star for the studio, there’s no doubt about that. Everything revolves around him. So far, he’s in negotiations for the two sequels to The Avengers but he still isn’t talking about Iron Man 4 yet. The other actors (Chris Hemsworth, Chris Evans etc.) are all demanding higher salaries for The Avengers 2 since they were all underpaid for the first film, and because Downey Jr. made somewhere between $50-$70 million off The Avengers, compared to the couple hundred grand that the rest of the main cast made. So Feige thinks that Downey Jr. can be re-cast, while Paltrow says that he can’t. Honestly, I agree with her. I think the studio is just bluffing. They know they need Robert Downey Jr. for the rest of their Marvel Universe plans (at least for their next few films) and until they can advance well into Phase Three, I don’t think they can discard him just yet. 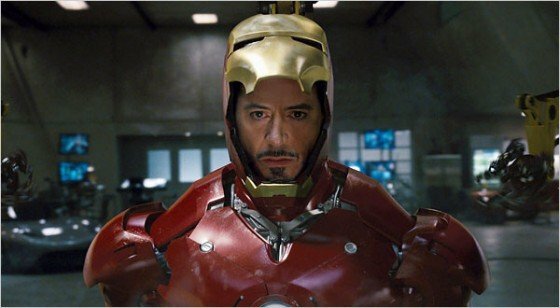 They need Iron Man for both Avengers sequels that they have planned as well as a potential fourth outing for the character. Once they’ve moved into the third phase of their plan and have started bringing to the big screen films like Doctor Strange and Black Panther, then maybe they can write him out. For now though, they need him, and we all know that no one can play Iron Man except Robert Downey Jr.